"Claire Kelly is not only a great singer with a unique vocal style, but she's a talented songwriter who continues to grow musically and lyrically. Her songs paint pictures that are guaranteed to put you in a good space if you give them the chance. I look forward to hear what she comes up with next." 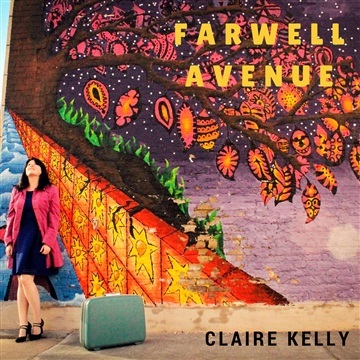 Lively melodies and soulful lyrics accompanied by acoustic guitar drive the folk/pop workings of Claire Kelly's music. Currently based in Milwaukee, Claire is playing a full set of summer shows around the Wisconsin area. Her most recent release, The Farwell Avenue EP, is a blend of styles, emotions and stories that feature an array of Milwaukee musicians.